Kerala Tea Gardens. We will have a fresh feeling when we travel through the tea estates in the high range area of Kerala. This painting is done by me for the Kerala Tourism Clint Memorial Painting Competition and was among the 1000 paintings shortlisted. 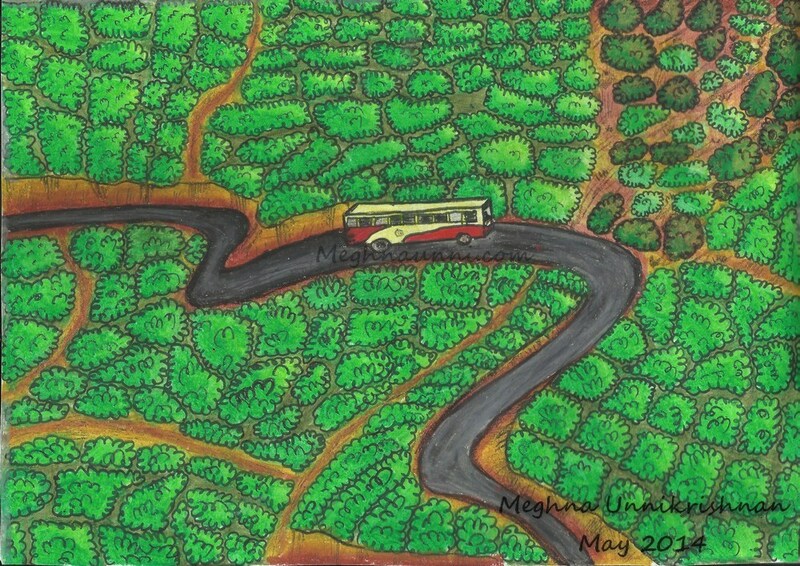 The KSRTC Bus which passes through the snake roads in the hilly regions of Kerala is also a wonderful sight. This painting is done in Oil pastels on paper. Used steadler pencil for the outlines.